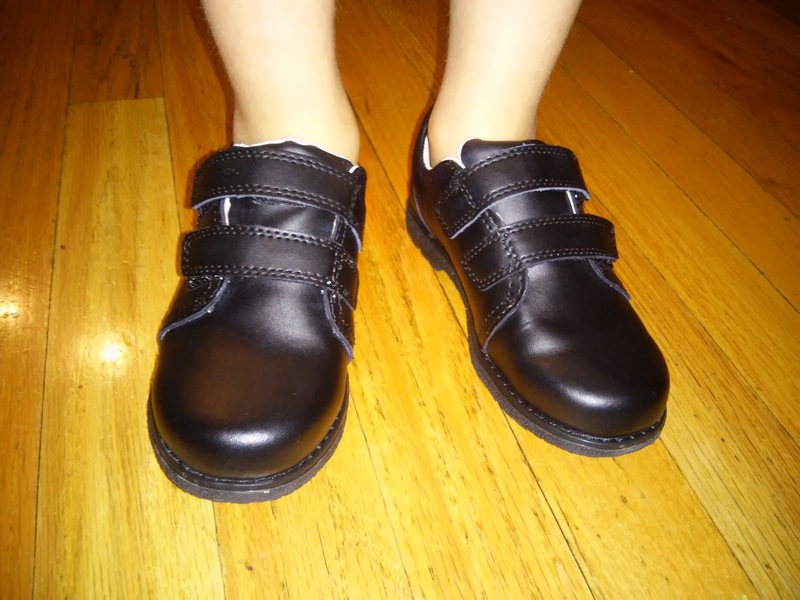 Time for school shopping and one of the most important things to get is a good pair of shoes! This will ensure that your children will be able to be active and comfortable throughout the day! 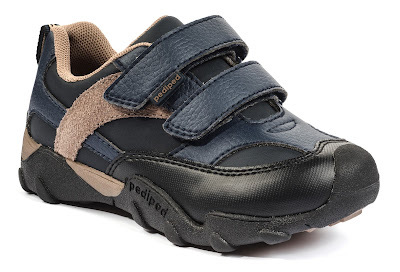 If you are looking for a good, quality pair of new shoes for your child, then let me recommend pediped! My children have all worn their shoes and have loved every pair! pediped®, named Children’s Footwear Brand of the Year at the 2015 Footwear Industry Awards, debuted its fall collection of award-winning footwear across its three signature lines: Originals®, Grip ‘n’ Go™ and Flex®. 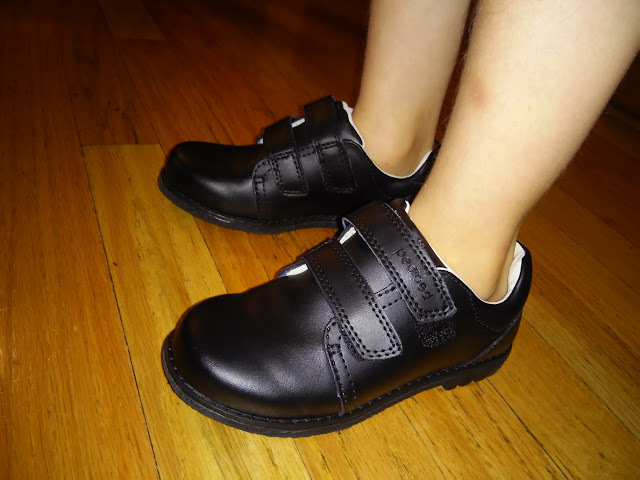 Many new styles are added to the collection this season including a range of back to school shoes available in larger sizes up to 38 (US Youth 6). Additional winter styles including boots will be introduced later this year. 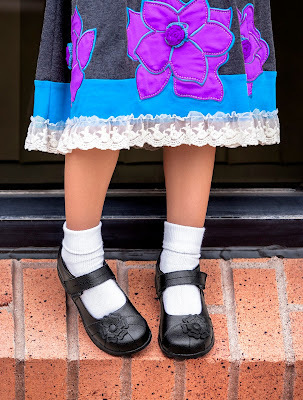 Featured in the collection are Mary Janes, sneakers and everyday styles to cover all fall footwear needs from the classroom to special occasions and beyond. The Originals® collection gets a lux update with fourteen new styles including a friendly owl named Jazzie. New machine washable options are added in both Grip ‘n’ Go™ and Flex®, and more than ten new styles are available for back to school including the highly anticipated styles offered up to size 38, Ann, Alex and Highlander. In conjunction with the introduction of new back to school styles, pediped® is accepting enrollment into its annual schools program. pediped Black heart (cards) schools is a one-of-a-kind giving campaign where education partners receive 10% of their total combined purchases of pediped®. School officials, leaders of the PTO or PTA along with parents and teachers are encouraged to enroll their community’s school at www.pediped.com/pedipedschools. 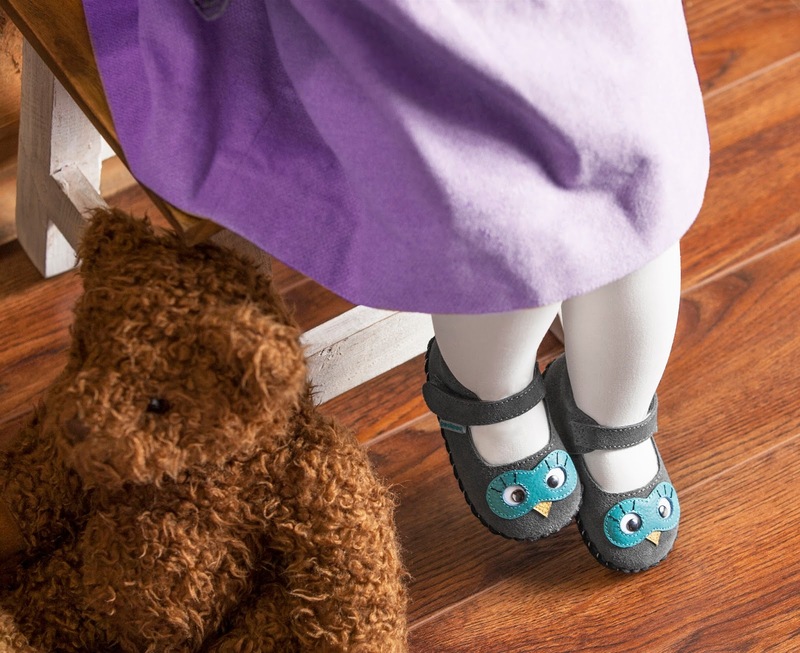 Upon enrollment, each school receives a unique code and those who purchase pediped® footwear should enter the code at checkout when shopping online at pediped.com or in any pediped owned boutique. pediped® tracks the purchases registered to each school’s code to determine the amount of dollars earned. Purchases for the 2015-2016 school year will be tracked now until May 15, 2016. 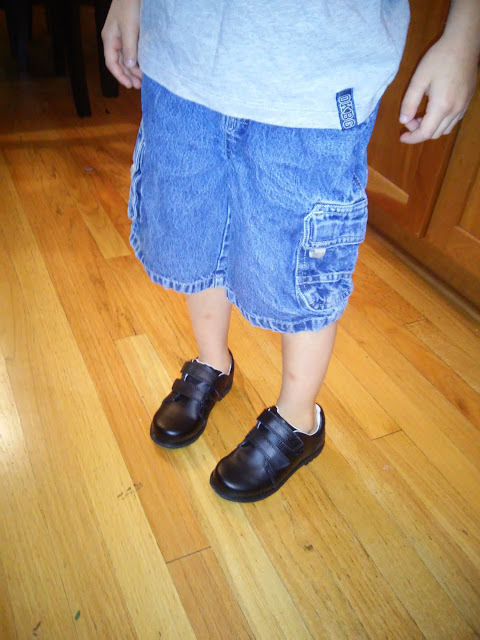 My son is heading back to school in his new Flex Alex shoes! Alex is a great style that can be dressed up and worn to any special occasion. Its durability and flexible rubber outsole make a perfect combination for your growing boy. 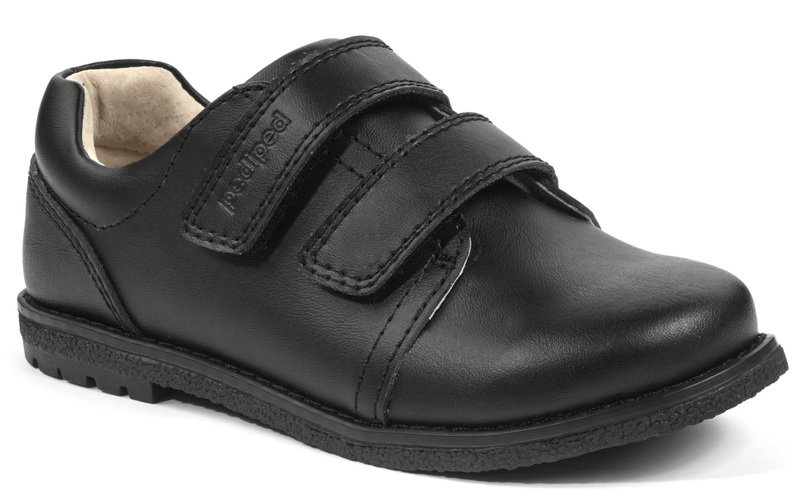 It is available in sizes 24-38 and features a genuine leather upper, breathable leather lining and flexible rubber sole. Plus, it offers a velcro closure which is great for easy on and off! Most importantly, it is approved by the American Podiatric Medical Association for promoting healthy foot development! These shoes are definitely on the dressier side and I wouldn't recommend them for every day play and school. They are a very narrow shoe and my son does complain sometimes of them feeling too tight and squeezing his foot. (Although the length is good!). Hopefully, they will stretch out a little with use. However, they are a very nice dress shoe and look great with dress pants for a wedding, church or upcoming holidays! Plus, I love how easy they are to get on and off! Plus, I LOVE the Flex system (as always!) where I can switch out the insoles for when my son's feet get a little bigger! It helps the shoe last longer as my son grows! You can purchase pediped® in over 2,500 stores in the United States and 40 countries worldwide. The fall 2015 collection is now available for purchase (with the exception of boots and other styles available later in the season) online at www.pediped.com and also in select retail stores. 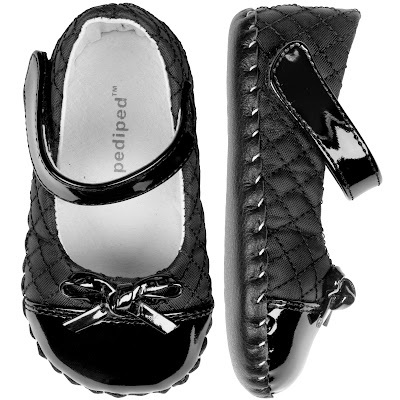 pediped is generously offering (1) pair of pediped shoes (Winner can ask for boy or girl and size but not style) to a lucky winner!